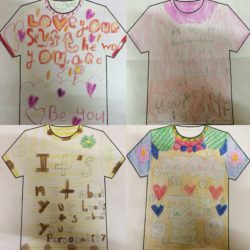 We completed the Free Being Me pack with our girls, they enjoyed drawing their ‘perfect’ princesses and creating their own newspaper articles to share messages from Free Being Me. 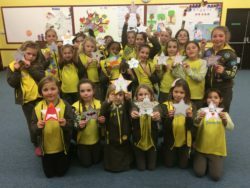 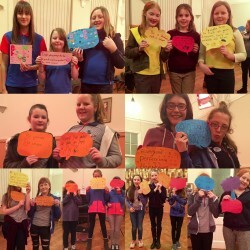 Colbury brownies had a peer educator visit and came up with some amazing positive messages to share with other brownies. 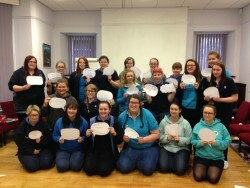 UK Peer Educators enjoy destroying the image myth! 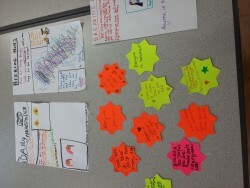 We attempted the free being me activities as part of our training to become 4 peer educators! 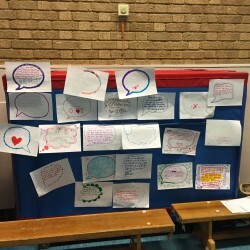 We had lots of fun destroying the image myth in our own ways including doing beauty bubbles!